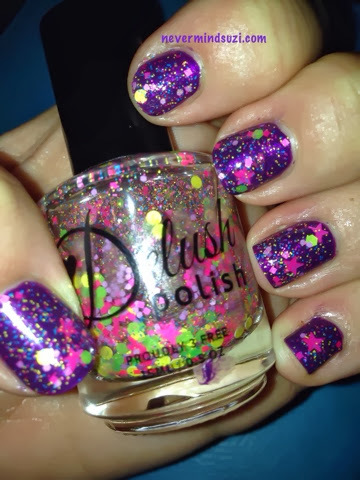 Delush Polish recently released a glitter topper duo including the stunning Star Gazer, a clear base full of neon pink, yellow, blue and green glitters, including pink stars! 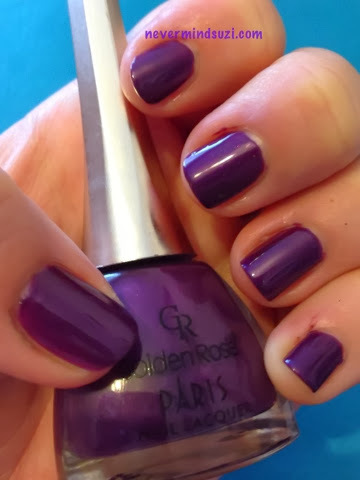 I thought this would look great over a dark colour so I wore it over Golden Rose 220 a deep purple with perfect application. 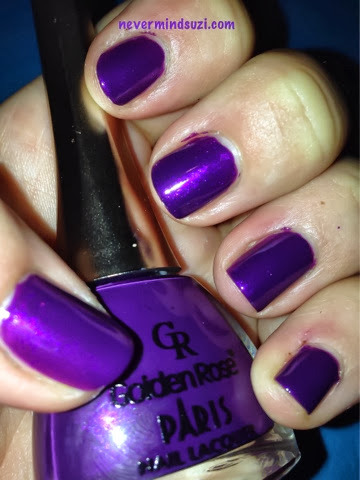 The neon glitter really pops against the purple.